Don’t worry, this is a G-rated blog post. In the last two weeks I’ve had lunch twice at our local Applebees with business colleagues. The first time I went in to the men’s room, I stopped and looked at the mirror above the sink. Here’s what I saw. They are using a new technology that displays a visual ad on the mirror. I don’t know how the technology works, but it looked pretty cool. When I went to wash my hands, the ad disappeared from the mirror. There is a little motion sensor below the mirror that detects if someone is in front of the mirror and turns the ad off. Now how does this relate to presentations? In too many presentations, the presenter keeps a visual up on the screen even though the visual doesn’t add to what they are saying. It may have been used to introduce the point, but then the presenter moves in to a deeper explanation or story and the visual really isn’t necessary. The visual on the screen distracts the audience and takes away from the message you are delivering. What should you do? Get rid of the visual. Go to a black slide. 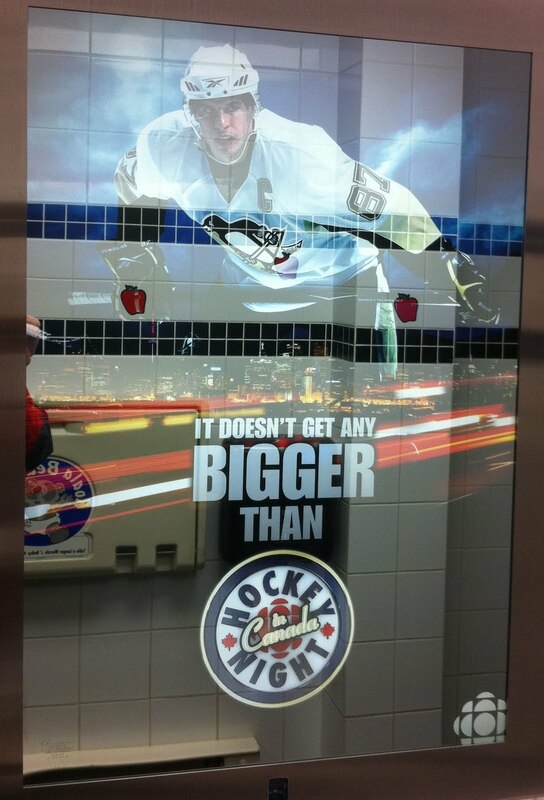 It is similar to what happens on the mirror in the Applebees men’s room. 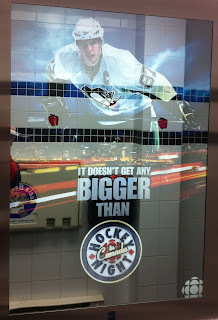 The ad on the mirror disappears when you want to focus on your appearance before you leave the men’s room. When you want the audience to focus on you and the point you are making, get rid of the visual that distracts them and give them only you to focus on. Especially in keynote presentations, I think presenters could use black slides far more often than I see today. Use a visual to introduce the point, then go to a black slide and the audience is forced to focus on you and your message. I am not suggesting you get rid of all visuals. I am suggesting that they be used more effectively during the presentation. Sometimes the most effective visual is not on the screen, it is you. That's why my Keystone Presenter Pro has a "B Button" on it. Hit that and the attention goes from the screen to YOU - where it should be!